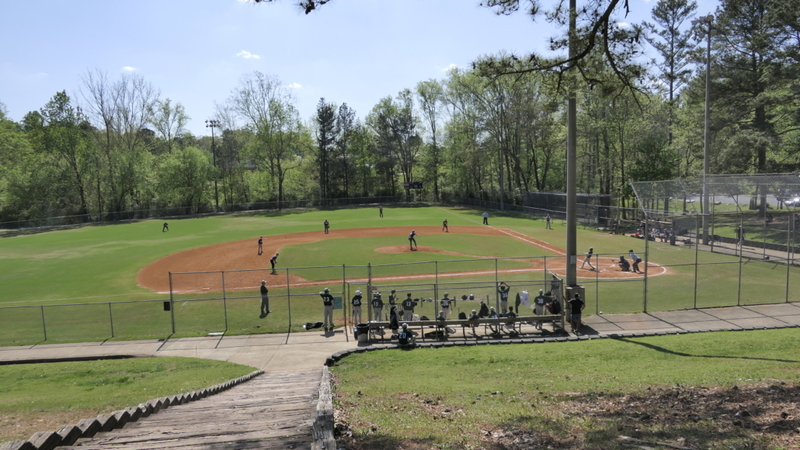 Under a brilliant Carolina blue sky your young and courageous Cougars faced another daunting task in defending the Cougar’s Den yesterday as the Mustangs of Mill Spring Academy once again was their foe. 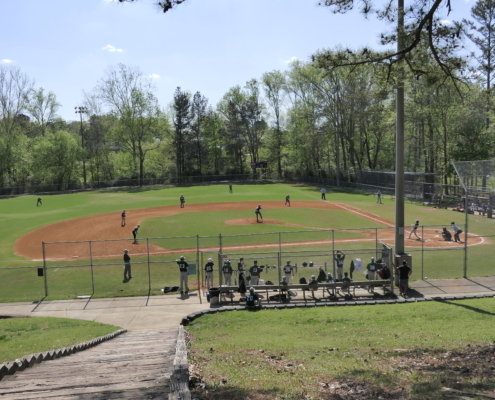 Since this was MSA’s home game due to poor field conditions at their home field, the game was moved to the Cougar’s Den. The Cougar’s batted first. 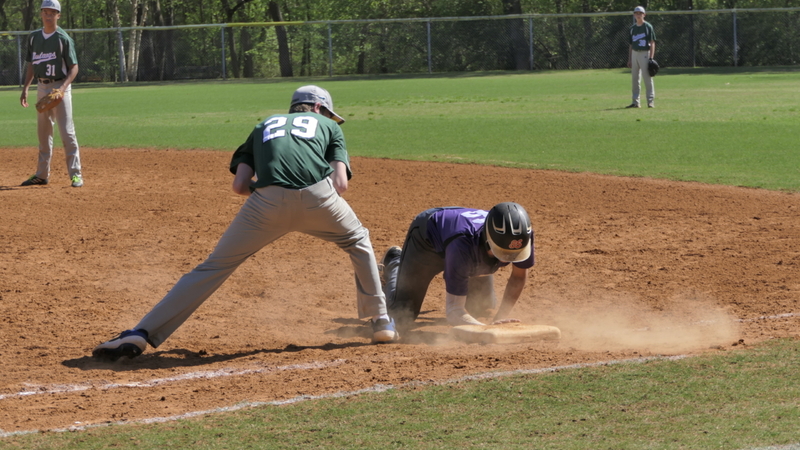 After an out started the game, Junior shortstop Seth Goldberg got on base with a solid single. 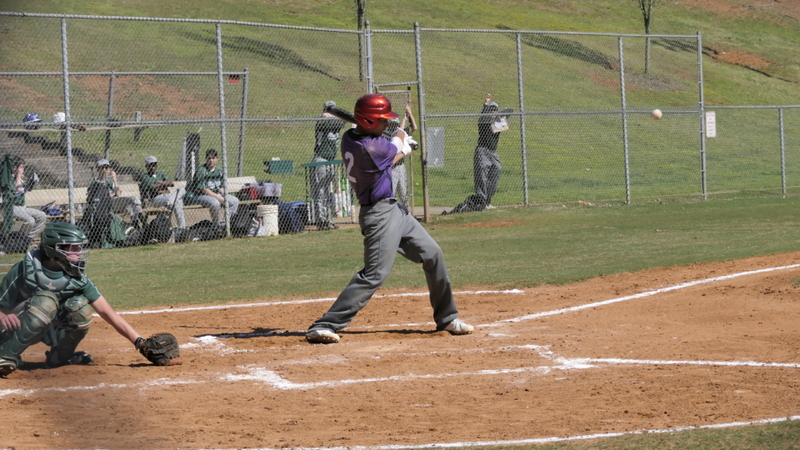 This brought Junior pitcher Shane Hendrickson to the plate. 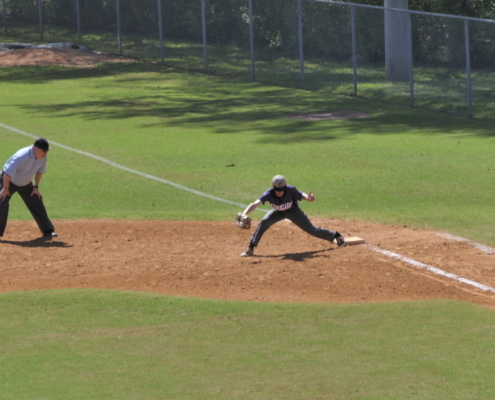 During his at bat, Goldberg stole second and was advanced to third on Hendrickson’s fielder’s choice. 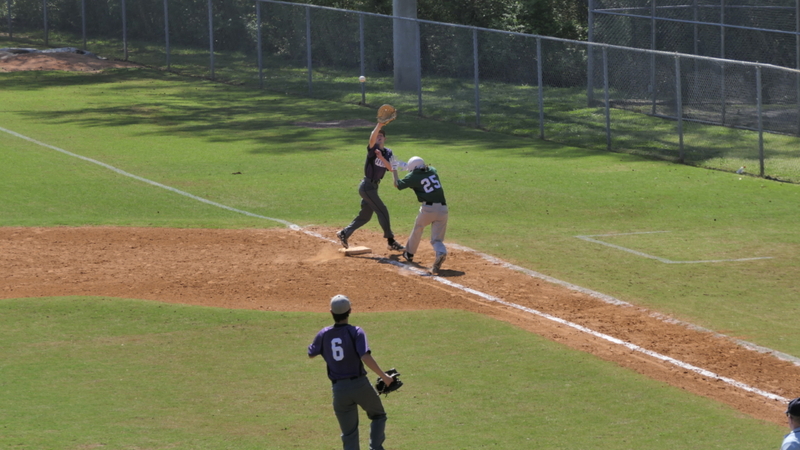 Senior catcher Bret Boyles then sent a hard hit single to left field scoring Goldberg from third. A strikeout ended the inning. 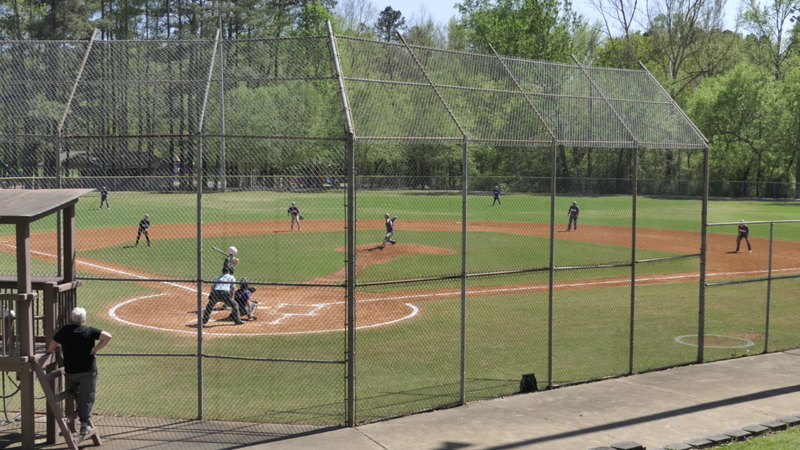 At the end of one half inning of play, TCS 1 and MSA coming to bat. The bottom of the inning Mustangs came to bat. The leadoff batter walked and went to second on a throw that got away from the first baseman. Pitcher Hendrickson then did what he does best and struck out the next two batters. 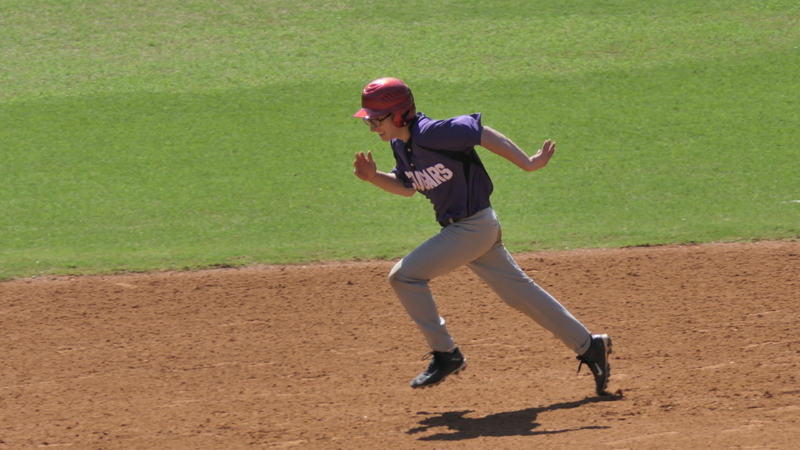 The runner then scored on a single to right field. 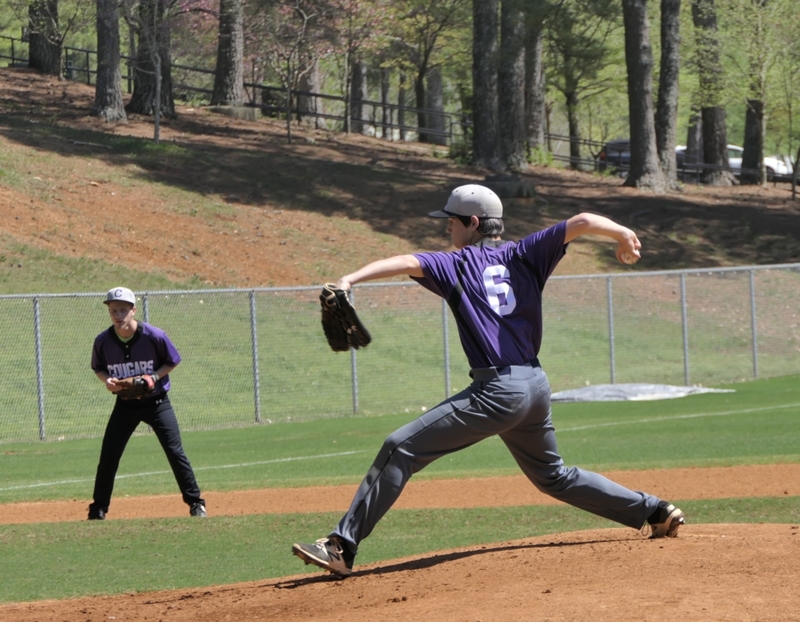 Hendrickson then struck out the next batter to end the inning. The score after one complete inning of play, Cougars 1 and the Mustangs, 1. 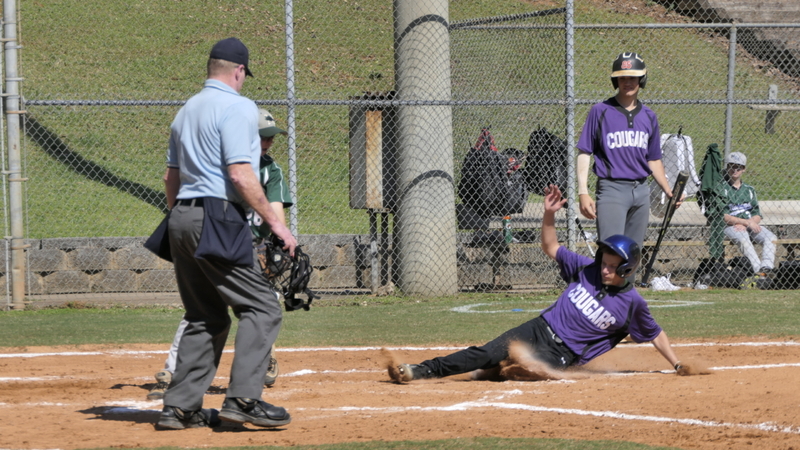 In the top of the second inning the Cougars bared their claws as they batted around. 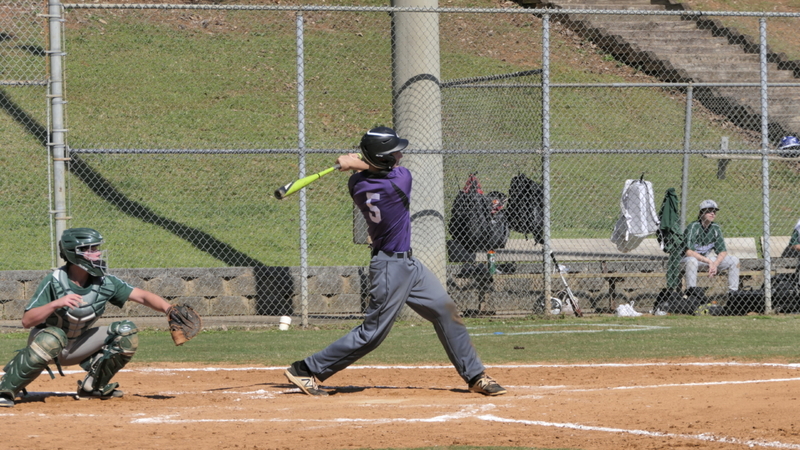 Freshman left fielder Aidan Briggs send a fastball to the gap in left center field for a double. 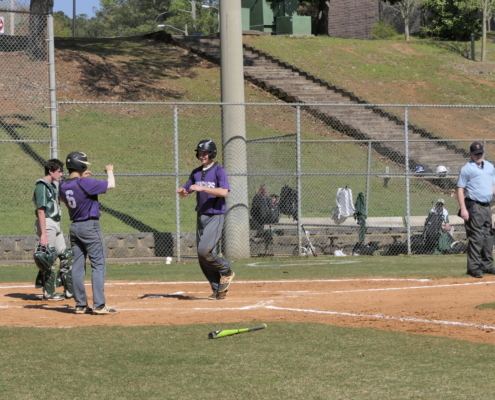 The next batter, Senior third baseman Murphy Husnik then scored Briggs on his single to left field. 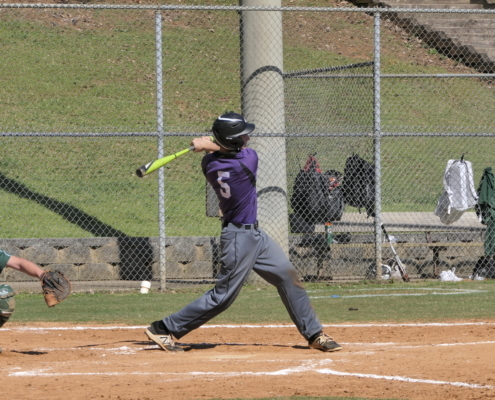 Next up was Junior center fielder Larry Orsini returning to the team after a brief absence due to an injury. Orsini was plunked by a pitched ball sending him to first base. 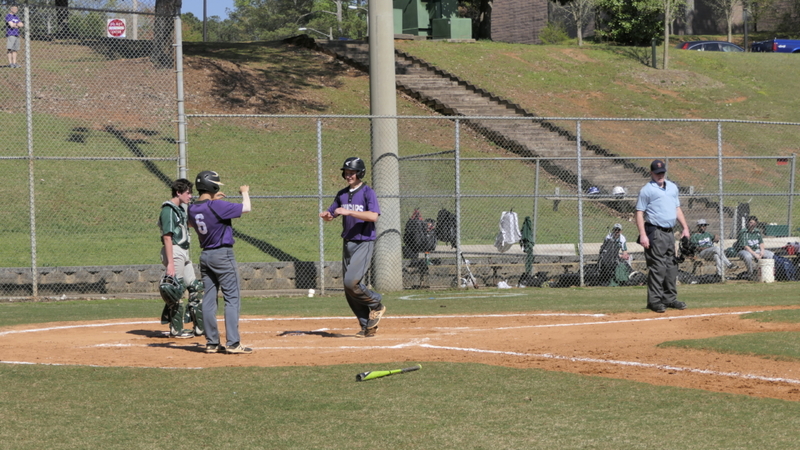 Junior Seth Goldberg came to the plate and once again singled scoring Briggs. This loaded the bases with pitcher Shane Hendrickson coming to bat. Hendrickson walked forcing in Husnik from third. 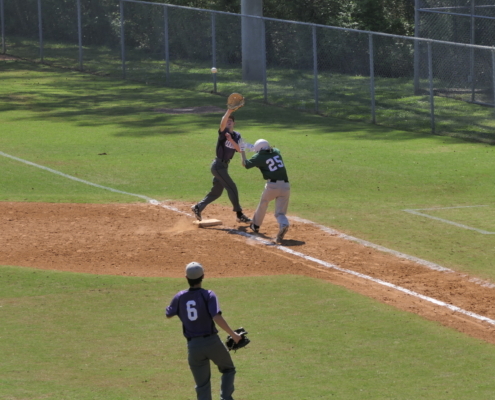 This brought up catcher Brett Boyles who hit a tricky hopper that got over the third baseman’s head scoring Orsini and advancing everyone up one base keeping the bases loaded. 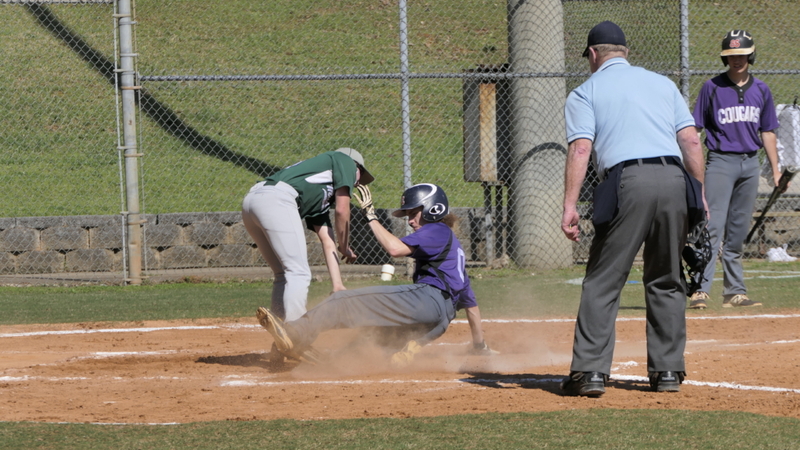 Senior first baseman Alex Hoeve then was hit by a pitch scoring Goldberg and again keeping the bases loaded. The batter was D J Donaldson. 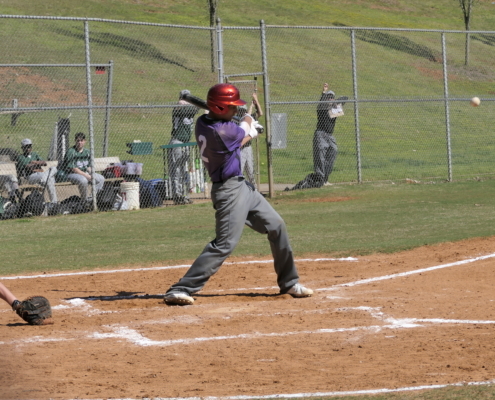 During his at bat, the runner at third base, Hendrickson, force balked the pitcher giving him home and advancing the other runners up on base. The hit parade then continued as Donaldson was hit again loading the bases. Junior second baseman Mac DeBalsi then came up and send a solidly hit ball into left center field for a double clearing the bases. 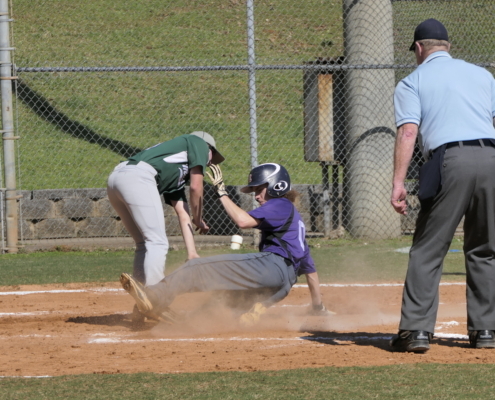 When the dust finally settled, the Cougars had scored 8 more run increasing their lead to 9-1. In the bottom of the second inning it was the Shane Hendrickson show as Shane struck out the first two batters he faced. 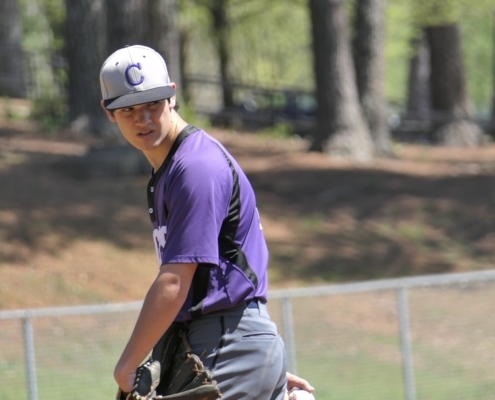 The next batter walked but as Hendrickson was reading himself to pitched he saw that the runner had wondered off base and deftly threw to first base what Alex Hoeve applied the tag or the third out. At the end of three innings, The Good Guys 9 and the team in the other dugout 1. In the top of the third inning after a lead off strike out, Junior center fielder Larry Orsini, the human target, was once again hit by a pitch. 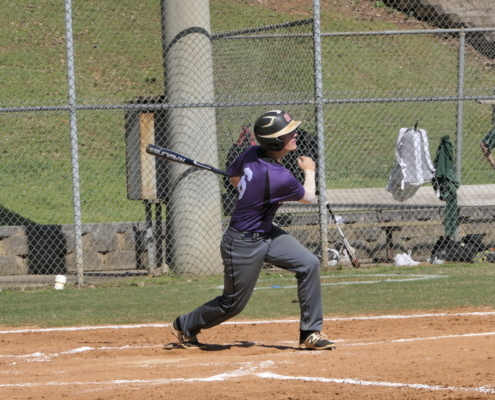 Next up Junior shortstop Seth Goldberg, one of two players who was perfect at the plate yesterday, sent another single into left field putting runners at first and third. 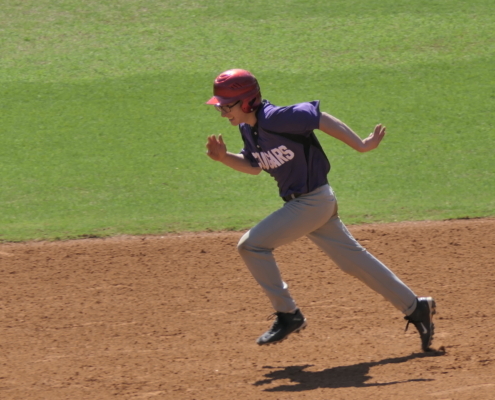 Both runner then stole a base placing them at second and third. The next batter grounded back to the pitcher so neither runner advanced. 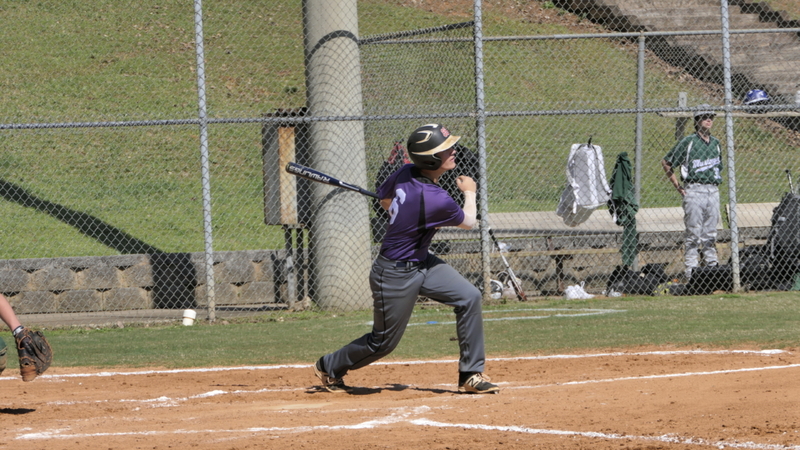 Next up Senior catcher Brett Boyles, the other player who was perfect from the plate, then sent a shot that looked like it was going the distance but fell short one hopping the fence for a triple scoring both Orsini and Goldberg. 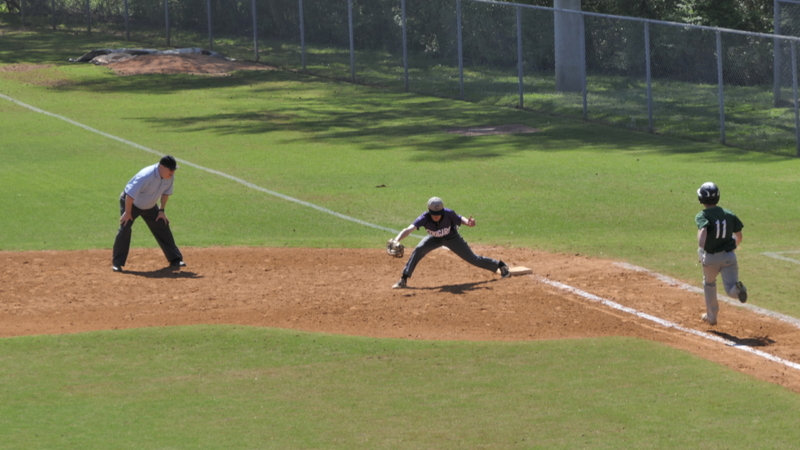 The next batter Senior first baseman Alex Hoeve then hit a ball that was mis-played by the right fielder scoring Boyles from third and placing Hoeve at second. At the end of two and one half inning of play Cougars 12 and MSA 1. 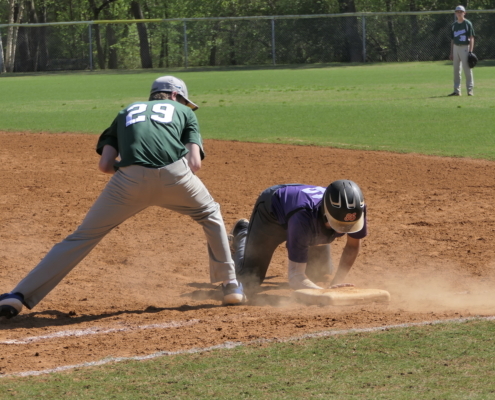 In the bottom of the inning a leadoff single and an error allowed MSA to score their next run. During the inning Hendrickson made an outstanding play in a foul ball hit into foul territory just in front of the home bench. 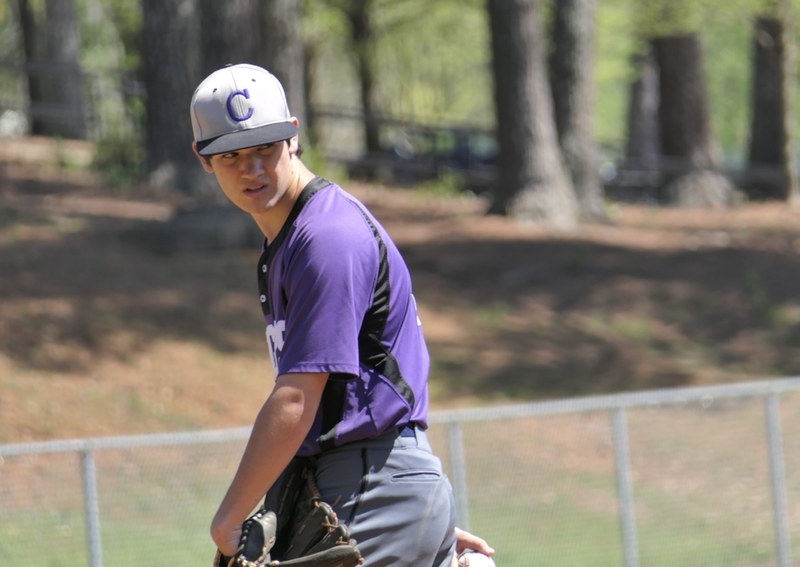 Murphy Husnik also got into the action as he calmly fielded a trick ground ball and threw a strike to first base for an out. At the end of three innings, The Home standing Cougars 12 and Mustangs 2. 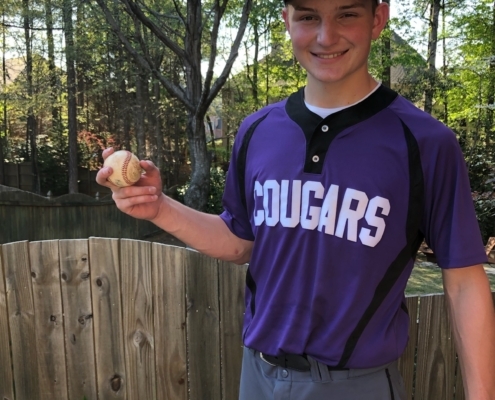 The fourth inning saw the Cougars put the game away in fine fashion as they batted around twice and once again showed their prowess against their long time AAC rivals. During this inning everyone got on base at least once. The hitting stars for the inning was Seth Goldberg who got his third hit of the day and Brett Boyles who picked up his first homerun of the season and also a triple and thus hit for the cycle. 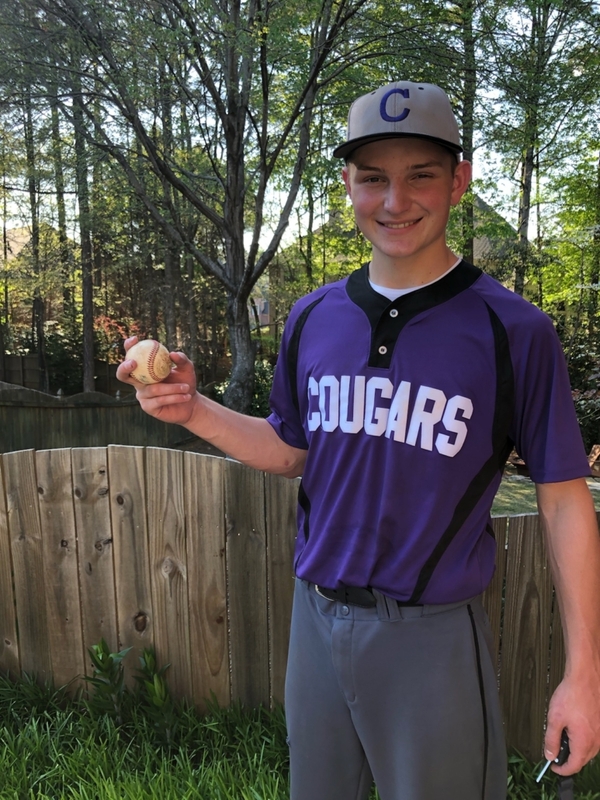 Boyles is the first Cougar to hit for the cycle in the last ten years and perhaps ever!! At the end of three and one half innings of play Cougars 26 and the green clad team 2. 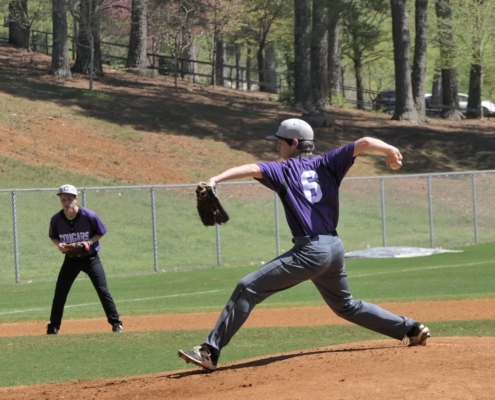 In the bottom of the inning, Hendrickson struck out the side to finish the game. Final score The victorious Cougars 26 and Mustangs 2. Next up: A showdown with another GISA team. 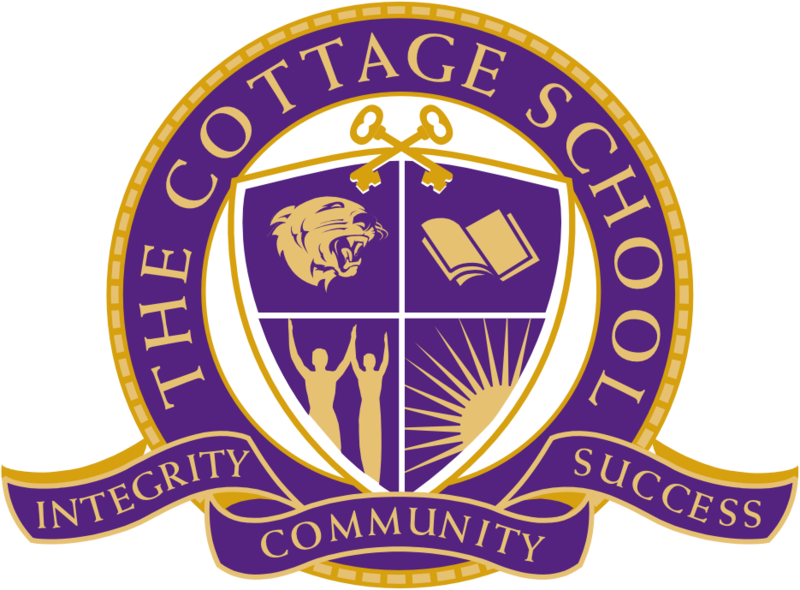 St. Georges comes to the Cougars Den for a 3:15 game at the Cougars Den on Friday. 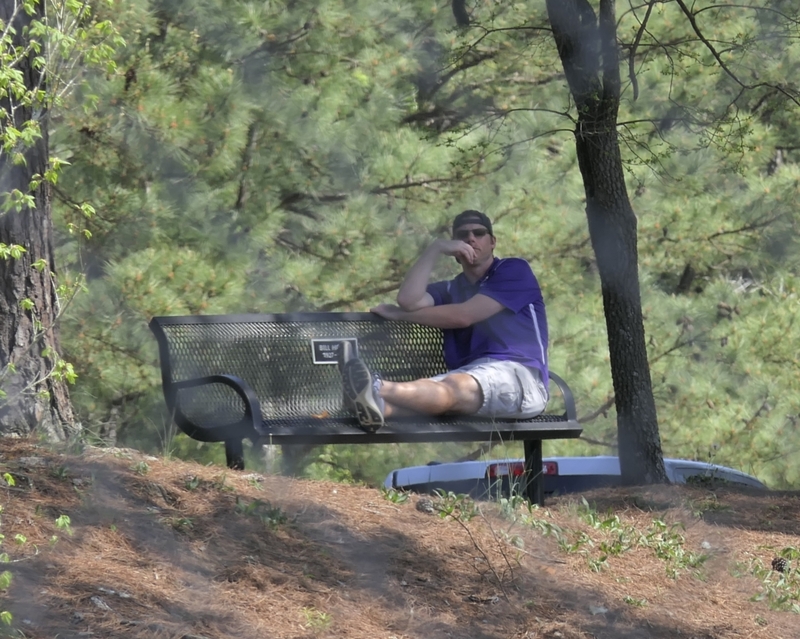 Our Athletic Director, Ritchie Briggs, has given permission to have a steak dinner afternoon at the Cougars Den. That’s right, if you bring a steak dinner with you to the game, you can enjoy it as you watch. What a deal!!! We hope to fill the hillside with fans on Friday. See you there.